← No Crown? It Doesn’t Count! 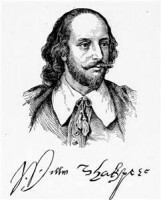 To Be, Or Not To Be? That Is Not The Question. “Follow your bliss.” This was another suggested post title my wife made several days ago. She and I both initially discounted it as a difficult thread to follow, especially in light of the fact that some of my previous posts have dealt with the same theme. For instance Taking Chances, Where Did I Go Right?, and the most recent of these posts, What’s Your Dance? Obviously, I must think this is an important concept, because here is yet another post concerning taking action. Bear with me. Webster defines bliss as “complete happiness.” After all, isn’t that what we all want? In the discussion that followed the initial suggestion, we both agreed that following one’s bliss may be very difficult. In doing so, we may have to give up certain things, let go of some people in our lives, close doors, and burn bridges. These are not easy tasks to accomplish, and yet, if we are going to “follow our bliss,” we must commit to doing whatever it takes. 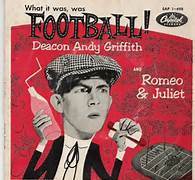 Some of you may be old enough to remember Andy Griffith, not as Matlock or as Sheriff Taylor, but as Deacon Andy doing monologues in the early 1950’s, such as “What It Was, Was Football,” and “Romeo and Juliet.” I had this record, and listened to it for hours. In the “Romeo and Juliet” monologue, Deacon Andy says,”And he was so struck by her that he give a soliloquy right there. He did. And it wasn’t about bein’ or not bein’, it was about doin’ or not doin’. Well, the dos, they won out over the don’ts…” What a great idea. I guess “Romeo and Juliet” may not be the best example in this case. Even though they tried to follow their bliss, which was a life together, they both ended up dead at a very young age. I’m not sure any of us is ready to die for our dreams. 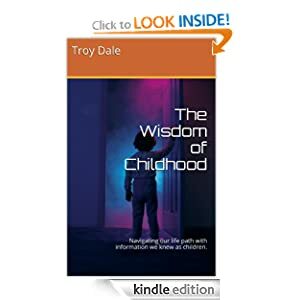 This entry was posted in Life Path and tagged A Chorus Line, Andy Griffith, Hamlet, King Lear, Nike, Romeo and Juliet, Shakespeare, soliloquy, What I Did For Love, What It Was Was Football. Bookmark the permalink. 3 Responses to To Be, Or Not To Be? That Is Not The Question. Absolutely. Thanks for the comment. Wasn’t it Joseph Campbell who wrote a book titled “Follow Your Bliss”? And yes, it is a most important topic for contemplation. Any other path through life is one with shackles. So many I’ve met through the years are living this self-imposed life. Of course, there’s always in a price for everything but the real reason most people do not follow their bliss is the three demons: worry, doubt and fear which are only shadows of the mind made manifest by imagination.